The permeability of the cement column has a strong effect on zonal isolation. 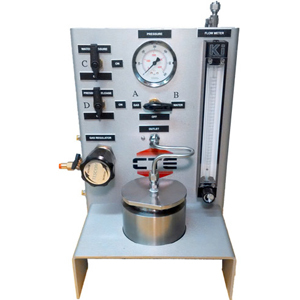 To determine the relative permeability of set cement to liquid or gas API has set out operational procedures in RP 10B. The procedure determines comparative permeabilities of cement samples instead of absolute permeability values. Liquid or gas is forced through the sample at either a constant flow rate or constant differential pressure, and the resulting flow rate is measured. The permeability of the set cement is then calculated using Darcy’s law.